Details of all representative matches played by the VFA can be accessed via the links below. The list has been broken into various eras with each section containing a table of matches played and notes about key games of that period. If the VFA combined team played another first-class league or club (eg. 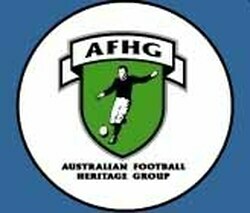 1893 vs Norwood FC) or a lower-level league (1913 vs Western District FA), it is shown as a representative match. If the VFA combined team played a club in a charity match (1894 vs Essendon FC), an "odds" match where the opposition were allowed extra players to even the standard (1880 vs SA Natives XXIII, 1905 vs Stawell FC) or games when VFA players were loaned to the opposition (1947 vs Bendigo FA) it is shown as an exhibition match. Warm-up games, pre-season games, etc involving a VFA combine team. - Venues are listed by their traditional name rather than the modern version featuring a naming rights sponsor. - "unknown" indicates the crowd is... unknown. - (D/H) indicates the match was the early game in a double-header and the figure shown is the official attendance for the entire day. - C/R indicates the match was a curtain-raiser and the official attendance for the main game does not apply.